All the pictures from the BAFTA Game Awards, held in central London and attended by the great and good of the video games community. Enjoy the winners, the red carpet and the ceremony! Broadcaster Danny Wallace accepts his award for best performance for his role in Thomas Was Alone. Olympian and gaming fan Louis Smith at the BAFTA Games Awards. Gabe Newell receives his BAFTA fellowship in front of an appreciative crowd. Voice actor Dave Fennoy at the BAFTA Games Awards. 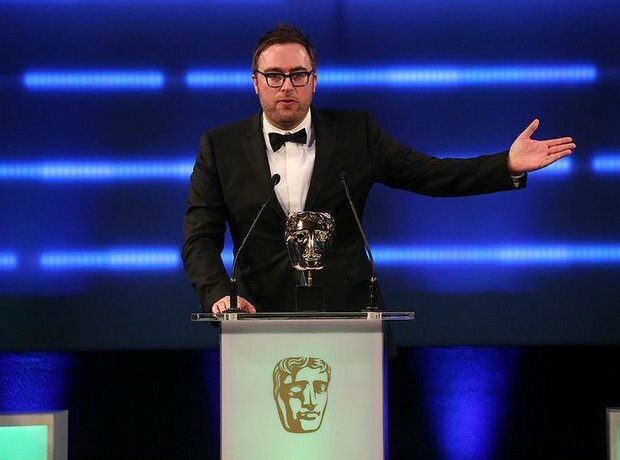 Designer and producer for multi-award-winning game Journey poses at the BAFTA Games Awards. Tennis legend and games enthusiast Boris Becker at the BAFTA Games Awards. Script writer Rhianna Pratchett at the 2013 Video Games BAFTAs. Journalist and broadcaster Alex Brooker soaks up the atmosphere at the BAFTA Game Awards 2013. Picking up one of their five awards, it's the crew behind Journey at the BAFTA Games Awards. The crew from The Walking Dead receive their games BAFTA in central London.